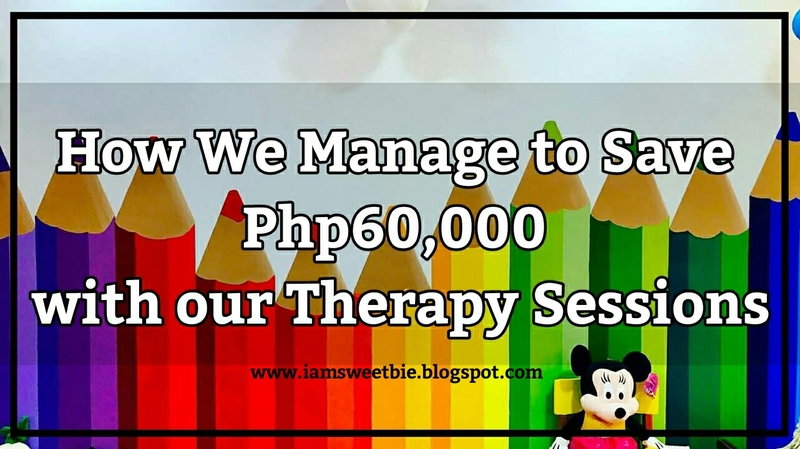 As far I don't want to discuss our therapy sessions with everyone, fearing that I might be offended with how some people react to it, I want to inform others who might also be dealing with this matter and help them on how to score on their tight budget. First, let me share you how we manage to have it all while we are on the brink of money crisis because of priorities we have. We have bills to pay, we even have a housing loan and then here comes the need to attend therapy sessions for Isobelle because she was diagnosed with GDD (Global Development Delay). Therapy puts us on different aspects of preparedness; emotional, physical, mental and financial. I wasn't that much emotional because I know that having an alternative to recuperate her disability is a blessing already. We just need to follow and of course do what we have to do even at home. The physical aspect is tiring because I have to do it alone since hubby isn't here. Mental preparedness for the negative vibes coming along way, the pity that I do not want to receive and the different hearsay versions that didn't really come from us. Anyway, I sorted it out already and just rely on my support group and positive people I have at my back. The financial matters is what keeps us on the brink. How are we able to commit on this session? This is by far our most questionable aspect that is why we have to wait for a year before we finally decide to get an appointment besides from the fact that I want my husband to be there when the doctor discuss this matter. So don't judge, don't fret on wny we decided to keep the therapy hanging. It's not you who will pay for the therapy needed, it's on our bank account. It is easier said than done that we could have prioritize this first before we even acquire a house. But this is how we wanted to prioritize our needs. How can we ensure Isobelle's future if we do not have a home for her? 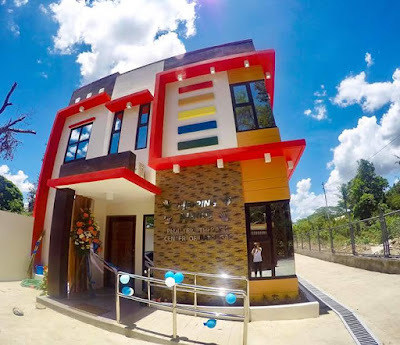 Through our friend and my kumare, I learned about Helping Hands. I learned that one of the best Developmental Pedia in our local is Dra. Maricel Dacumos. So I instantly inquired at their clinic and make an appointment once my husband came. But I didn't know that scheduling an appointment will take time as many our also looking forward for their slot. My bad. It took us two months to finally get an appointment slot. Took us 1 week to get the result needed after the first assessment. 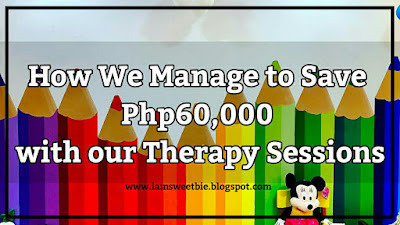 It took me two more months before we finally got an offer to receive a Php10,000 monthly allowance to cover our therapy sessions for 6 months. That was a relief. How did it happen? We seek help thru our local government as per our Developmental Pedia advises us when I asked her how much would a therapy cost. An EBD Healthcard covers hospital payments as well as therapy sessions provided that we have a recommendation from the Developmental Pedia. So the assessment form is submitted and I had fill up the form for personal info, waited for an interview and for a call saying that we are APPROVED. 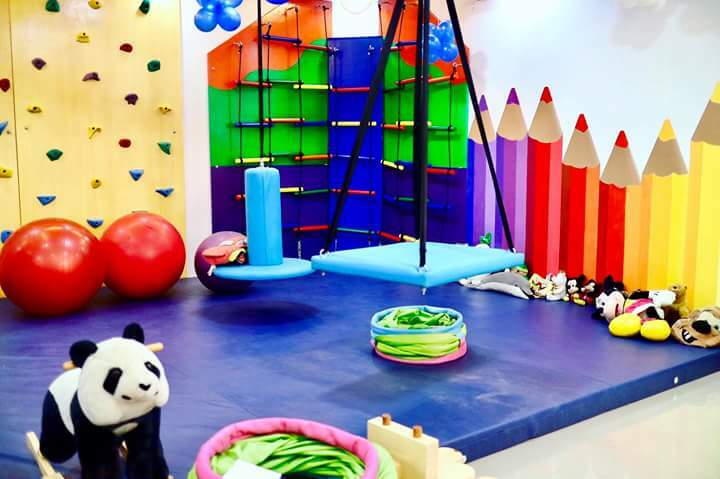 The Physical Therapy is our first step because at the age of two, Isobelle is not yet walking. According to our Pedia, if there is no practice, then there is a limit chance that a skill is develop. The therapy alone is shouldered with our own money for two months. Then came the time where we need to also attend an Occupational Therapy, a blessing happened. We received a call from the EBD Dept and from the clinic saying that the application is approved! Hooray! God is good indeed. It really helps us. We just need to be there on said schedules, 2-3 times a week, an hour or two for her therapy. We were also able to attend a Speech Therapy for a month, but since we have schedule conflicts, I decided to cut it through. A therapy doesn't stop there. I also implement it at home even just for an hour twice a week or whatever schedule works for Isobelle. I didn't opt to let her go to school already. I wanted to create a more one-on-one relationship with Isobelle first before we create social relationships outside. She is already sociable since she keeps on waving and saying hi to any passerby. She is also fond with other people even if she just met them once. I just needed this time alone with my daughter. If you are also skeptical with therapy sessions, don't hesitate to ask your Pedia about it. Raise your concerns even if it tackles your financial status. After all, what we all want is for our kid to have the best.